Your personal statement is the first thing recruiters will see on your CV or LinkedIn profile, after your name and contact details. However, whether they take the time to actually read beyond it depends on a few key things. We’ve asked an expert panel of recruiters with decades of experience in the industry for their top five tips in writing a high impact personal statement so that it becomes a key asset in your personal branding portfolio. A personal statement is a brief summary of your professional life that pinpoints your key strengths, career highlights and your unique selling points. It’s an easy to digest paragraph summing up the specific skills and experience that make you perfect for the job in question and convince the recruiter that they want to read on and find out more about you. In fact, a well-written personal statement can be the difference between selection for interview and a rejected application. Even on paper, first impressions really count! A personal statement should be no more than 150 words, which doesn’t give you much to play with. This is a summary, not an essay, so it’s crucial to remain on point and choose your words wisely. The biggest hurdle in writing a personal statement is summarising your entire career, professional achievements and everything you can bring to a new role in just one short paragraph. Selection is the key here, as there is absolutely no room for waffle. You should start with a brief synopsis of who you are (think job title, industry sector, no. of years experience) and what you can bring to the role and company. You may also want to highlight any particularly impressive career achievements (industry awards, accolades, leading performance stats). You may choose to include personal goals, but keep them relevant and provide a context. For example, training for a marathon demonstrates discipline and hard work, and running for a charitable cause sparks personal interest. Or you may be involved in community work that shows your commitment to social responsibility and your engagement with a particular group. These are things that build engagement for the reader and set you apart from others. A personal statement is the one part of your CV or application that offers you the opportunity to be creative. Whilst the rest of your career summary will be based on hard facts and actual events, your personal statement is your chance to stamp your own personal mark on the document. Unless you’re a marketing specialist or branding expert, this creative writing process may strike fear into your heart. 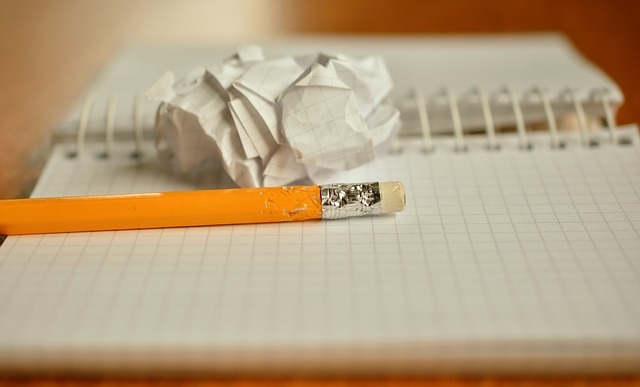 You can avoid spending hours looking at a blank canvas with writer’s block by thinking of five or six key words that sum you up as an individual, professionally speaking. These key words then form the framework of your personal statement. If you’re really stuck, ask a colleague or someone you have worked with previously. Even asking a friend to read your CV and pick out what stands out to them can be helpful. There’s no point bragging about your ability to market a product globally when in fact the role you’re going for is centred on working with local producers and distributors. Your personal statement should be relevant in the context of the job you are going for, which means that it may change with every job application, even if this change is very subtle. This doesn’t mean changing who you are, or pretending to be something you’re not, but highlighting your strengths in alignment to the job in question will help position you as a perfect fit for the role, or as close as possible. As with any branding exercise, your personal branding should be consistent across all media. So whether you are using your personal statement for your CV, LinkedIn profile, or cover letter, it should deliver the same message, although you may want to change the writing style slightly; for example, LinkedIn tends to have a more conversational tone whereas the language in your CV should be more formal. The words don’t have to be exactly the same, but the core message should come across so that anyone reading the statements would know that they refer to the same person. A common blunder when writing personal statements is to shoe-horn in as many impressive sounding adjectives as possible, creating a long list of words that have no context and therefore little meaning. This is boring to read, doesn’t engage the reader and does the exact opposite of making you stand out from the crowd. Follow the trusted formula of highlighting a skill and backing it up with an example and use words that describe the real you, not just generic management descriptors. Above all else, never use words that you don’t fully understand or can’t apply to a practical example – this could be your undoing in an interview situation. Personal statements can be really powerful marketing tools for your career development so it’s important to give them the time and attention they deserve. The key to writing compelling personal statements is in developing your self-awareness so that you can clearly articulate your USPs, speak confidently about your strengths and achievements and market yourself in a user-friendly, engaging style. Personal statements are just that – personal – so no two are the same and they are in essence a celebration of your unique gifts and individuality. Here at FindMyWhy, we recognise the importance of individuality and how our uniqueness can be our greatest strength – after all, no-one else has your unique genetic make-up or life story. But we also know that pinpointing your strengths, core purpose and values can be a tricky process. We have created FindMyWhy, the free personal purpose project which starts as an online psychometric test and results in tailored reports which are relevant to you and where you are in life right now, both personally and professionally. You’ll find wording, phrases and keywords within the report that clearly articulate your greatest strengths and core values in a way that authentically reflects who you are and why you shine. Beyond that, FindMyWhy doesn’t just help you to clearly define your strengths and motivators; it allows you to identify your core purpose and values, helping you to channel your efforts into a truly fulfilling life plan. All of this comes at no cost, and there are no hidden catches or caveats. Once you’ve completed the free online test, you’ll instantly receive access to complementary bespoke toolkits and professional resources that are all geared to support you in making your career dreams a reality. All the resources are mobile and tablet friendly and are yours to keep forever so you can refer back to them at any point. FindMyWhy will help you to flourish, building your self-awareness as a confident, articulate and well-rounded individual. Previous Post FindMyWhy: Tailored Executive Coaching Without The Price Tag Next Post Job Applications: How Keen Is Too Keen?